Yes, I must admit almost all my pictures in my previous post I am smiling! Smiling is great for the heart. My friends challenged me that I cannot take pictures without “smiling,” but I tried and succeeded. Let me know what you think. I LOVE TO SMILE! All my life I have been a “smiler.” Probably I came out of the womb smiling and my Aunt convinced my mom to name me Joy because I bring JOY to her life! 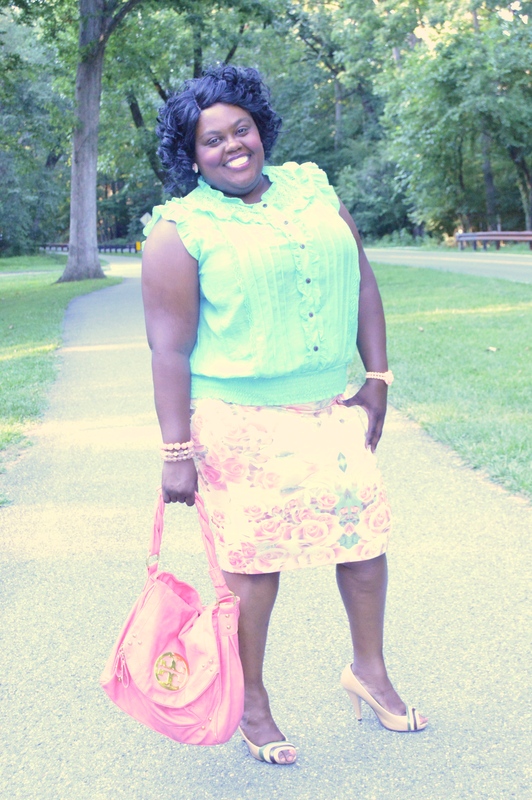 When I dress up it makes me smile…hard! Preparing for a photo shoot make me smile…ever harder. Why? 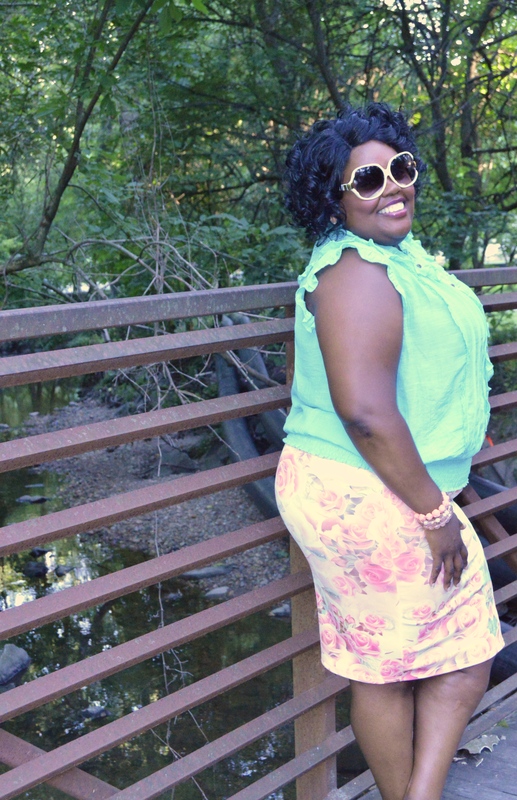 Because I get to showcase my fashion to a world and smile about how curvy women can dress with style and be confident all at the same time! I am a fan of pencil skirts. 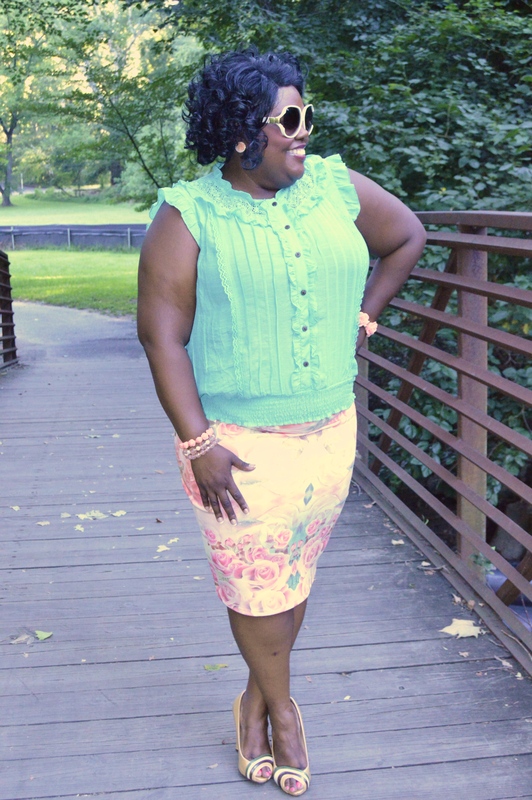 Pencil skirts conform to my body without looking “trashy” but look “classy.” I purchased this skirt from Fashion to Figure over three months ago and just getting around to wearing it. It feels so great! 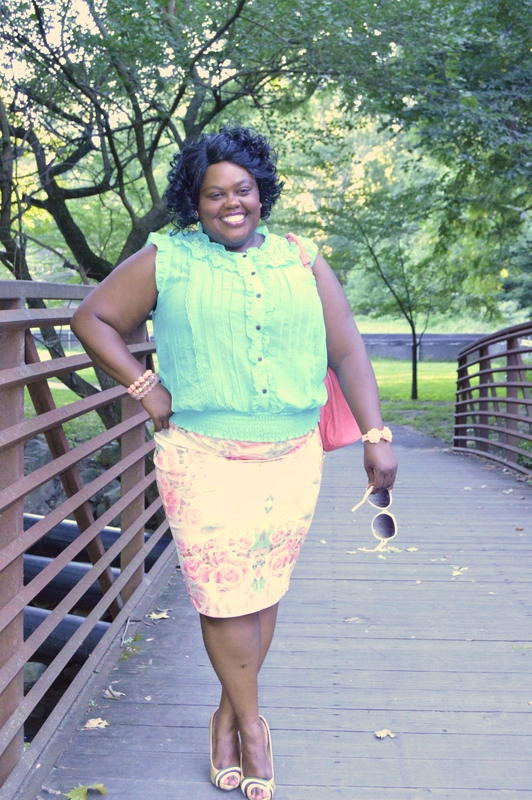 This skirt will be getting much wear from me in the upcoming fall season! 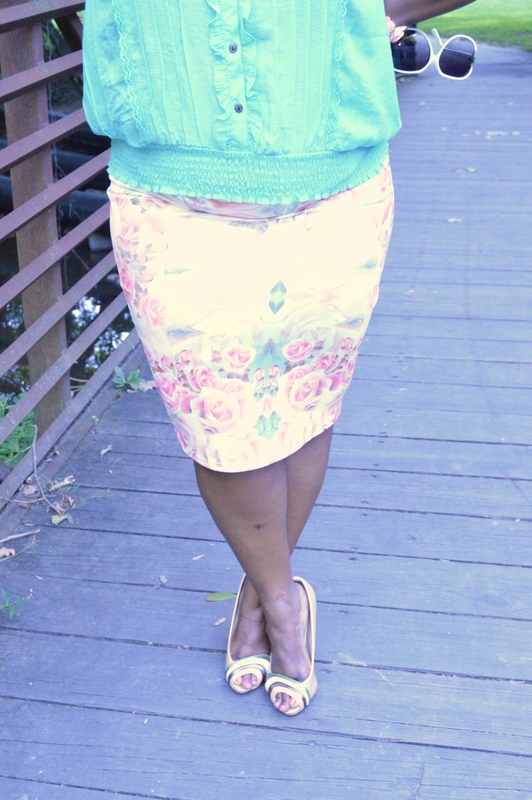 This soft pink and teal floral skirt is a scuba material that hangs a little below my knee. It doesn’t shrugged when walking or when sitting. 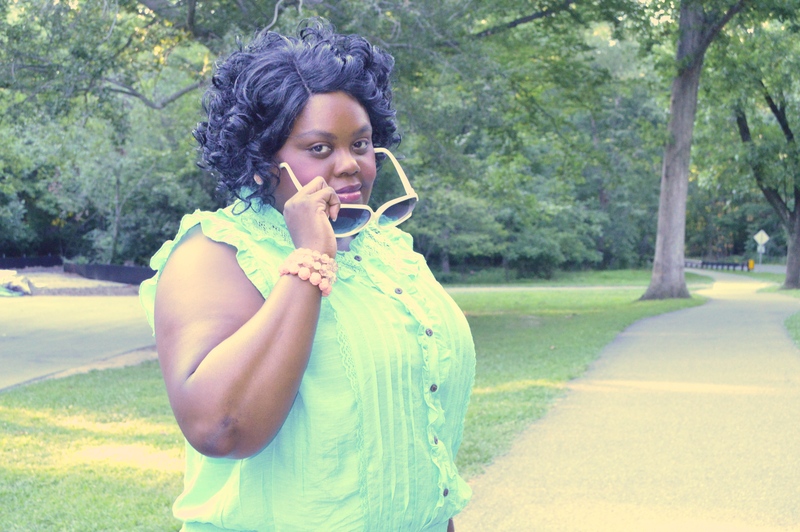 I wore a teal, ruffle top from Rainbow Fashion Plus and accessorized it with soft pink bracelets and pink floral earrings. Smile and Happy Looking! I succeeded in not smiling…it was HARD! I love the combination of style. Outfits are stunning.